In this paper we consider the frictional (tangential) steady rolling contact problem. 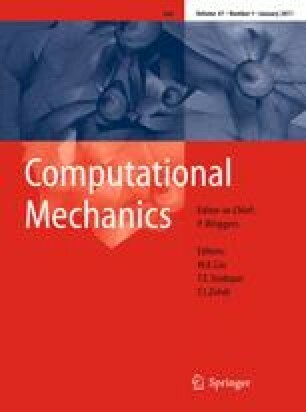 We confine ourselves to the simplified theory, instead of using full elastostatic theory, in order to be able to compute results fast, as needed for on-line application in vehicle system dynamics simulation packages. The FASTSIM algorithm is the leading technology in this field and is employed in all dominant railway vehicle system dynamics packages (VSD) in the world. The main contribution of this paper is a new version “FASTSIM2” of the FASTSIM algorithm, which is second-order accurate. This is relevant for VSD, because with the new algorithm 16 times less grid points are required for sufficiently accurate computations of the contact forces. The approach is based on new insights in the characteristics of the rolling contact problem when using the simplified theory, and on taking precise care of the contact conditions in the numerical integration scheme employed.